We talk a lot over here about data literacy or lack thereof, and despite offering our platform as a solution to that problem for businesses (which it very much is), we have yet to really offer a solution for those of you reading this and wondering: but how, how do I get caught up, how do I learn it, how do I take this exact point in time and use it to my future benefit? There’s a quote that I see a lot all over the internet, Pinterest specifically. It goes like this, “Do something today for which your future self will thank you.” In typical fashion, most people use this as a reason to justify working out, or eating healthy, or doing even paying a bill so that your lights won’t go out next week. And all of those things are valid reasons to do something now rather than later, and no doubt all of them will be things for which your future self is thankful (sans the few days of being sore if the workout is particularly difficult). In the dark corners of the web, though, or perhaps the no-longer-so-dark corners of the web, many people put this saying to practice in another way: learning to code. It is certainly no secret that developers are needed everywhere, and often are paid quite well for their work. It’s a puzzle, code is, to an extent and for many, the long hours sitting in front of a computer screen result in both science and art. Code creates as much as it hypothesizes, and right now, this very minute, code is being created to help businesses and people just like you better understand data. It is also ushering in the internet of things, in which algorithms, data and code will continuously predict, respond, collect and optimize for human benefit. The only question left is this: will you be a part of it? If you have relatively low big data understanding or knowledge, like the vast majority of us, then here is your way in, your ticket to thought leadership on the subject. You don’t need a university class (though you could take one) nor a fancy degree (though if you really want a job in the industry, it wouldn’t hurt). All you need is the curiosity and the desire to do something today for which your future self will seriously be thankful. This book is essentially a coffee table read, but with all of its pictures and cool stats, it’ll jump start your interest in the topic and give you enough fodder to small talk among those in the industry. That, or just impress your friends. 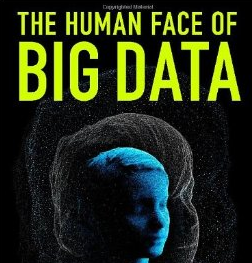 “After reading this, there is no doubt in my mind that Big Data is the defining movement of this generation. It’s not just the individual stories, but the collection that brings about this realization. It really makes you see the data angle in so many things around us. Once a bunch of pictures and cool stats get you interested in the topic, this book is the perfect pick-me-up as an overview of the industry. From medical use to business revenue, both international and abroad, these authors understand that the data awakening is upon us, and that that comes with both pluses and negatives. These guys are data evangelists, they are just data’s messengers. Written by Christian Rudder, the founder of OKCupid, this book received much fanfare for his name on it alone. But that isn’t the only reason to read it. Dataclysm will give you a good basis of understanding on the morality of big data, and some really great examples on how the data we are giving away to digital platforms can be used to easily predict nearly everything about us. Consider this the humanitarian view on data – though, don’t expect to be particularly pleased with what you find. This is a really great intro into statistics and how to apply data at scale. Even better, it is a really good general read before you hop into the more strategy-driven books, and it’ll give you some creative ideas all your own. This book brings big data to the business realm, and does it in a way that won’t lose nor bore you. The book is fundamentally optimistic, and offers a view into how big data will be used to transform the entire economy, from the ground up. “This covers a lot of the same ground as books such as “The Lights in the Tunnel” but in a more pop-academic style: the prose is all very accessible but the information is extensively footnoted and attributed, and there are numerous references to the work of other academics, mostly but not exclusively economists. For anyone who wonders why we’re seeing record-high income inequality and jobless recoveries from recessions, this book will clear up a lot of mysteries. Written by Mark van Rijmenam, the founder of BigData-Startups.com, one of the leading blogs on big data, this book offers tangible advice on how to create a data-driven strategy that can churn ROI for your company. Covering eight big trends in the industry and giving clear examples, thanks to his in-depth knowledge of big data startups and founders, this book is the perfect intro to any entrepreneur or executive looking to use big data for some pretty big benefit. All right, you’ve now got the basic understanding of what big data is and how to use it for your company down. Great – so what about getting caught up on all the data science going on out there, either to educate yourself or to educate yourself enough to at least hire a legitimate data scientist. This book will walk you through the basics of data science, how, when and why to apply it to business and help give you an overall grasp of the new profession many are calling the “sexist” new role out there. Take a literal page from MailChimp’s chief data scientist, one of the first companies in the world to hire such a role. This is a deeper dive into data science than the former book recommendation, but it does so with fun stories that will keep you interested in the algorithms and prove to you the real storytelling potential of big data. Yes, this is a data science book. No, it won’t bore you. Finally, you can’t be a big data expert without having a clear vision of how the tech will affect the future. This book will walk you through not just big data or even the internet of things, but will explain how the combination of connected-everything with data-driven business will completely transform the world we know. This is about more an AI, more than predictive analysis. This is about recreating the world around us and engineering it to interact with the human brain in the most useful, impact ways.